Our personalized avatars are used to simulate numerical treatments, to optimize them before presenting and applying them to the patient. They are also used to visualize, quantify movements and produce personalized braces and orthosis by 3D printing. While doctors had to imagine the body in motion, the Anatomical Avatar allows the trial and optimization of therapies before their application. 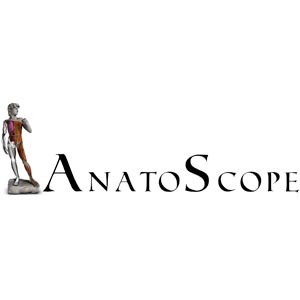 ANATOSCOPE constructs the anatomical avatar of a given person by combining a canonical avatar (3D model) with medical images of the person (CT, MRI, optical 3D scans, 2D radiology). Biomechanical simulation can then performed using our technology or external software. Traditional medical images are static, partial and not easily understandable by patients. ANATOSCOPE supplements the images with complete animated avatars, which are beautiful, easy to understand, and ready for simulation. ANATOSCOPE addresses a huge market. Orthodontic and maxilla-facial treatments, plastic surgery, orthopedics (design of personalized prosthesis or braces by 3D printing) and sports… A global market over $30 billion.